The 15 Best Holiday Shopping Destinations in West Virginia! Shopping for gifts doesn’t have to be a tiring, time-consuming activity. 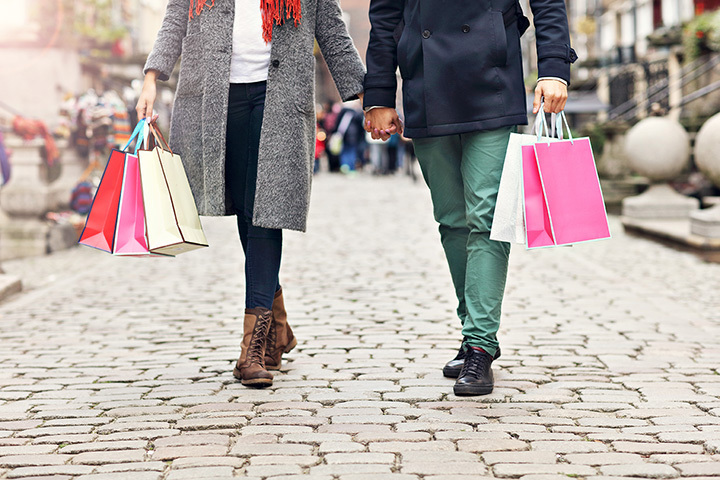 Not in West Virginia, where there are plazas and shopping districts made to entertain you as you find all those special gifts for your loved ones! These 15 shopping destinations in West Virginia are here to meet your holiday shopping needs. Explore locations that combine love of nature, food, and shopping. Gifts made in West Virginia are perfect for just about everyone. Celebrate the holidays in Historic Shepherdstown. Great local shops in this small town with lots of great places to eat will tickle your fancy all through the season. Every weekend includes activities for children, marketplaces for holiday gifts, special music, and much more with most shops staying open late on Fridays and Saturdays. Lewisburg offers shoppers a paradise of shopping and a food lover's frenzy. From kitchen gadgets to wine and antiques to farmers’ markets, there's something for everyone in Lewisburg. This is the best of West Virginia handcrafted items all under one great big roof. Offering 59,000 square-feet of some of the best Appalachian arts and crafts, Tamarack is one of the most unique and imaginative places to shop. In addition to the Tamarack Cultural Center in Beckley, Southern West Virginia is a mountain shopping showcase where you can purchase handmade items by skilled artisans, visit historical boutiques, and sample authentic food products. A shopper's paradise and after a day of shopping, you can relax in the hot baths of the springs. If you're looking for a unique experience, you've got to come to Heritage Farm Museum and Village for your holiday shopping. Way Back Weekends in the village go on in November and December each year and include a live nativity drama, music, lights, and authentic arts and crafts. Enjoy a Canaan Valley Christmas! Nestled in the Northeastern mountains of West Virginia, Canaan Valley will surprise you with a wide selection of gift, antique, and specialty shops that will delight even the most difficult shopper. You'll find over 31 quaint shops and wonderful little boutiques that carry unique handmade items that are sure to please. You'll have a hard time deciding with choices from specialty shops, arts and crafts, clothing, and home and garden shops. With so many places for shopping at this beautiful resort, you'll have to make time for relaxing, too. You won't want to miss the fabulous Winter Festival of Lights while you're in the area, and you can select one-of-a-kind decorations, centerpieces made by area designers, and yummy treats. You're guaranteed to find what you're looking for in downtown Clarksburg, centrally located off major highways. Besides the historic downtown area full of specialty boutiques and gourmet shops, Glen Elk Village and two major shopping malls, Eastpointe and New Pointe, are close by. You'll find a treasure trove of shops in Marion County, West Virginia. Just a sampling includes an upscale consignment shop, several specialty shops for children's gifts, antique stores, pottery shops, and even a costume shop. From silversmiths to cowboy boots, you'll also find the latest fashions, candles, toys, and home décor for inside and out. And after you're finished shopping, you'll have to stop by the Moonshine Café for ice cream! Young and old alike will find everything they need in the Village of Barboursville. Situated in the Ohio River Valley along the beautiful Guyandotte River, this well-planned town has encouraged new businesses to attract settlers since 1772. Today, the Village is still a central hub of activity that includes numerous shopping opportunities. Tasty, trendy, and friendly! This amazing area of Charleston has plenty of one-of-a-kind boutiques, shops, and art galleries that will delight shoppers. If you want something more than a mall shopping experience, you must visit the Bridge Road Shops. If vintage shopping is your thing, then you must visit the Beckley Antique Mall with over 12, 500 square-feet and more than 70 booths, you'll find everything you're looking for and more!